In September 2018 Kew House School officially opened its boat bay doors to the Kew House School Boat Club! With thanks to Quintin Boat Club, who host the prize giving for The Boat Races each year, our junior rowers now have a place to call home! KHSBC is now an affiliated Boat Club with British Rowing, meaning that all pupils from Year 9 upwards can now enter races, competing against other school boat clubs regionally and nationally! The Boat Club officially opened on Saturday 22nd September 2018. The event was well attended by students, family and friends of Kew House School. Five enthused KHSBC athletes had the privilege of taking part in a commemorative row past in memory of Miriam Pearson. Miriam was a dedicated member of staff in the modern foreign languages department, who had been teaching at the school since it opened in 2013. 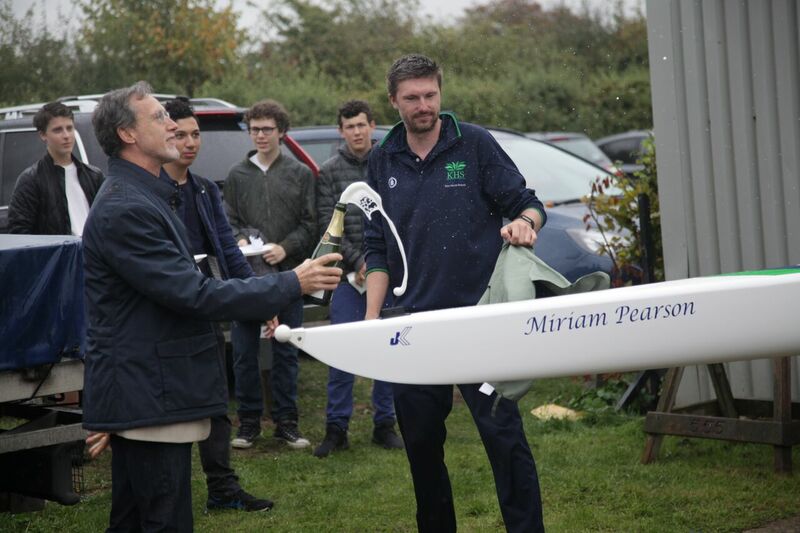 The Boat Club were honoured to have Miriam's family join them on the day, to christen their very first boat... Miriam Pearson. Update from Kew House School - Strong performances in schools first ever Regatta - next stop... Henley Royal Regatta … maybe?